This week’s prospects include Mason Shaw (Medicine Hat Tigers), Greg Meireles (Kitchener Rangers) & Cale Makar (Brooks Bandits). Mason Shaw is a small and compact high energy goal scorer who has improved since the start of the season and is among the top 10 scorers in the WHL. Has strong puck skills and can skate at an elite level with and without the puck. Uses his small frame to maneuver through traffic with great athleticism. Spins off checks and keeps feet moving at all times. A natural goal scorer who loves to shoot and spread out the attack with good playmaking abilities. Gets involved in as many offensive opportunities as he can. He always wants the puck and has instincts and take advantage of slow defenders. Has an awkward stride and he's not the flashiest skater. Surpassed his point totals from his rookie season already at the midway point of the season. He is small and may have some struggles at the next level but is noticeable each shift he takes. DID YOU KNOW? Shaw is currently playing in his third season in the WHL and had a tremendous start to this season. In September and October combined, Shaw had five goals and 20 assists in 14 games. In that stretch, he had six multipoint games including an impressive five-assist night at home against the Kootenay Ice. 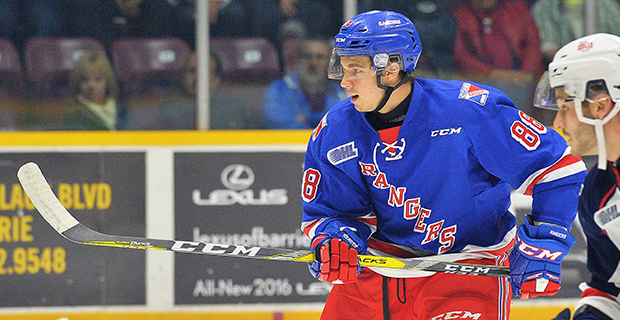 Greg Meireles is in the midst of a terrific rookie campaign that saw him lead all OHL rookies in points through the first third of the season. His speed is one of his many above average skill sets along with his soft hands and his offensive zone pressure. Keeps the tempo high for a full 60 minutes and doesn't let up. A pass first winger who has played the majority of the season in the middle where he has excelled in the face off circle. He is sharp on his edges and has good mobility in all directions. Good gap control and a fierce competitor along the boards and in all three zones. What he lacks in size he makes up for with work ethic. An unselfish player but needs to gain some upper body strength to keep his balance with the puck on his stick. DID YOU KNOW? Meireles captained the Ottawa Jr. 67's during the 2014-15 season, scoring 18 goals and 23 assists for 41 points in 24 games. After being drafted he decided to stay in Ottawa for the 2015-16 season, recording 35 points in 48 games but did suit up in seven games for Kitchener, recording five points. Cale Makar has really started to turn heads with his offensive capability. Likes to skate the puck deep into the offensive zone and create offence. Possesses a real heavy, hard wrist and likes to shoot often from between the circles. Phenomenal skater who can get up and down ice closing sizeable gaps to get back into position after pinching in. Follows up his passes ensuring he hits outlet passes right on the tape. Great ice coverage and constantly moving around the ice looking to make a play. Has good offensive instincts but knows his defensive responsibilities come first. Has landed into the talk of a potential first round draft pick after his performance at the World Jr. A Challenge this past December as he captained Canada West scoring eight points (four goals) in four games. DID YOU KNOW? 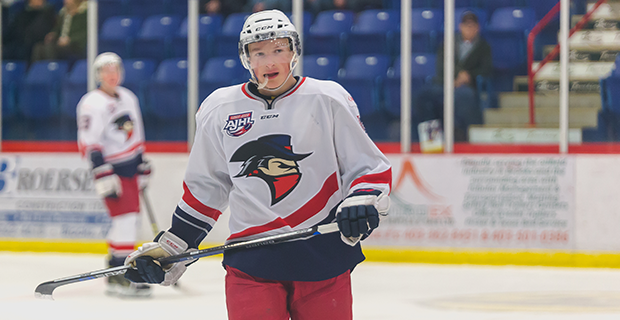 Makar accumulated a long list of accolades and awards during his 2015-16 AJHL championship season with the Brooks Bandits including AJHL Rookie of the Year, AJHL All-Rookie Team, AJHL All-Star Team, RBC Cup Top Scorer and RBC Cup Top defenceman, among many others. 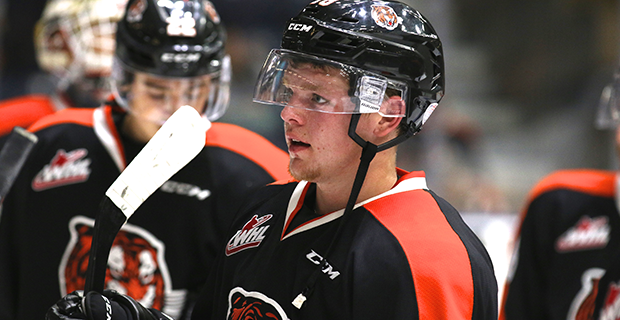 Expected to attend UMASS-Amherst in the Fall, while the Medicine Hat Tigers hold his WHL rights.